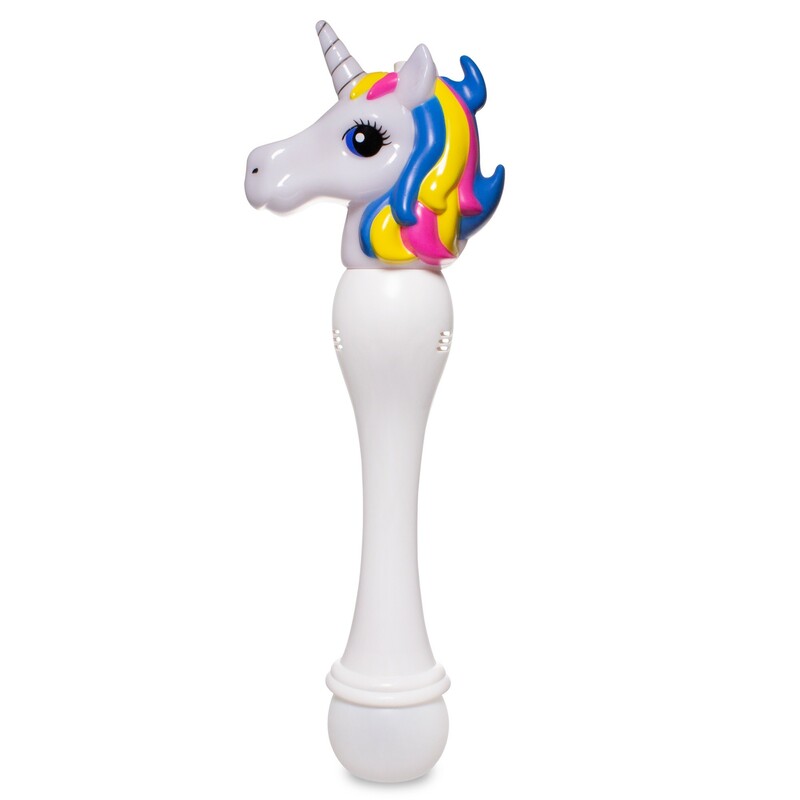 Our light-up LED Unicorn Bubble Wand is the perfect alternative to bubble guns. 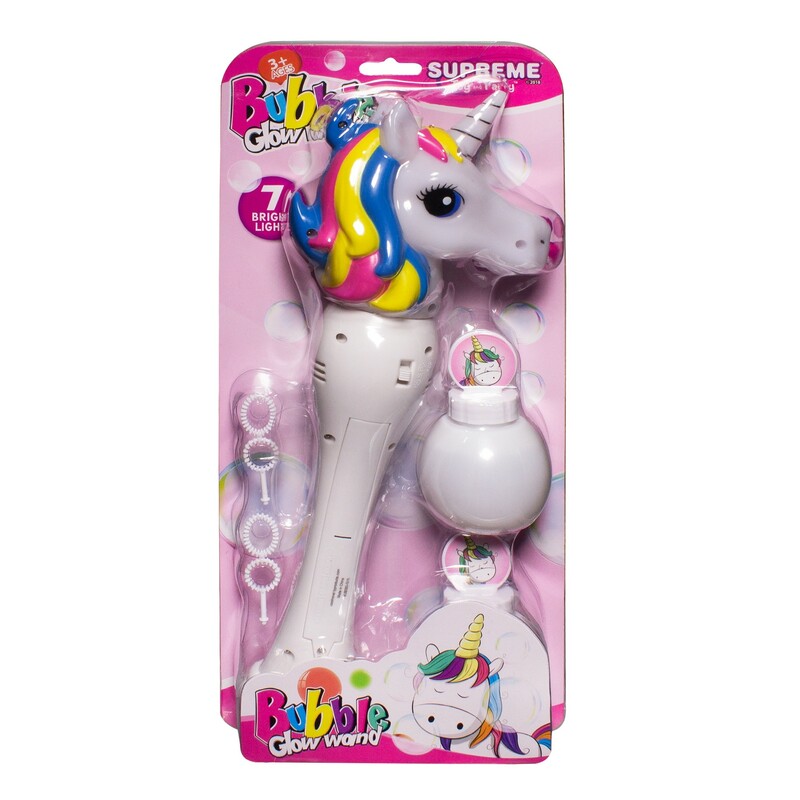 Each bubble wand measures 13" H x 5" W, comes with 2 bottles of bubbles, 2 2" mini bubble wands, and features a white plastic unicorn head that lights up with the super bright red and green built-in LEDs. 3 replaceable AA batteries are included and installed. Slid the toggle switch up for bubbles and an LED light show. 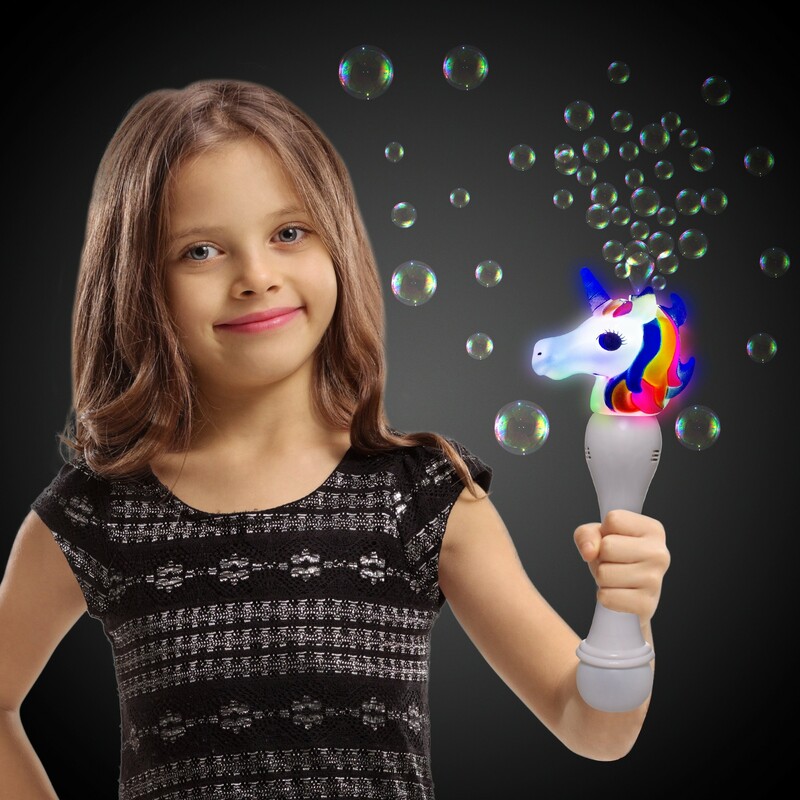 When you run out of bubbles, slid the switch down for just the light show. 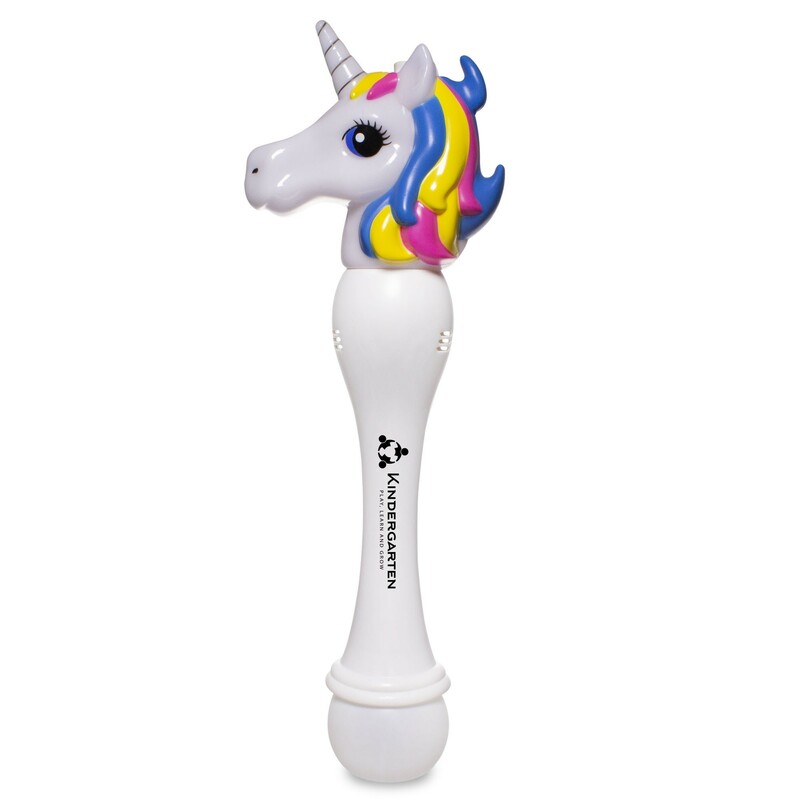 Our LED Unicorn Bubble Wand with Bubbles makes a majestic party favor, gift, or promotional item. 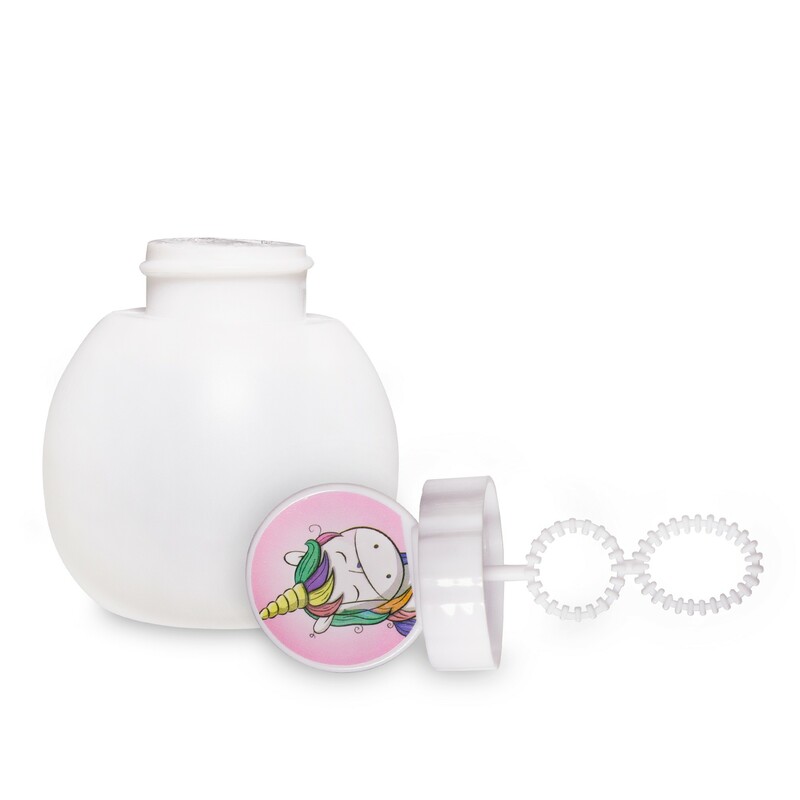 Each LED Unicorn Bubble Wand comes in a retail ready package for easy vending at any outdoor event. Please carefully read all instructions on the back of the packaging before use.